Living in a toxic world. Toxins are everywhere in the food we eat the air we breathe and the products we put on our skin,Stress is one of those invisible toxins your body faces every single day.We are all toxic to varying degrees. I know you’re feeling tired, have brain fog, acne, difficulty losing weight you could be loaded with chemicals and toxins.Parabens are found in shampoos conditioners makeup and foods as preservatives. Phthalates are used to soften plastics and leach into products stored in them.Bisphenol A has been linked to breast cancer and endometriosis. Toxins contribute to hormonal imbalance and PMS.Before you have left the house it is estimated women have been exposed to over a hundred chemicals in their health and beauty products, make up, and the water and food we eat.Sounds like a science fiction movie well its now well researched that theses toxins makes it hard to lose weight and messes with our hormones.No wonder we are feeling fatigued, foggy,fat and frazzeled. Water – Be sure the number of ounces of water you drink per day is equal to at least half of your body weight. (i.e. 150 lbs. body weight = 75 oz. water per day). In the autumn and winter, it can be especially helpful and detoxifying to drink warm water. Lemon Water – This is a gentle yet effective way to support and detox the liver, kidneys, and colon, and help alkalize the body. It assists in breaking up mucus and provides energy via enzymes, vitamin C, potassium, and trace minerals. Please use fresh, ripe lemons, not prepared lemon juice. 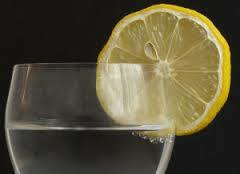 Make lemon water simply by squeezing the juice of 1⁄2 a lemon into a glass of water. Body Brushing – This is one of best ways to stimulate the lymphatic system. This is beneficial because it assists the lymph nodes in keeping blood and other vital tissues detoxified. It is energizing, assists in breaking up cellulite, removes dead skin, stimulates circulation, and strengthens the immune system. To do this, you will need a natural bristle brush, which can be purchased at most health food stores or pharmacies. Start at your feet and work up the body in long strokes towards your heart. Be sure to cover the whole body, but skip the face and the breasts. Do not feel like you need to spend a tremendous amount of time on this, 2–3 minutes prior to your shower is fine. Toxin Elimination Bath – Each evening, place 2 cups of Epsom salts and one cup of baking soda in the tub, run the hottest water you can stand, and add 8 drops lavender oil. 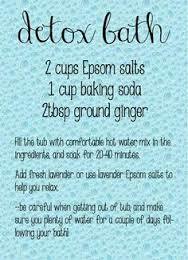 Soak for 20 minutes and allow yourself to sweat. When you are finished bathing, wrap yourself up in towels, go under the covers, and sweat some more. You should feel very relaxed and sleep soundly. Exercise – Moving will be a key component to your detox. Tune into to what kind of exercise feels appropriate, rather than just doing what you usually do or what you think you should do. Walking, yoga, swimming, tai chi, hiking, biking, and strength training are all great ways to get moving. A powerful exercise for removing toxins is using a mini-trampoline or rebounder to help enhance you lymphatic system. This is called Lymphasizing, see the end of this document for more details. Fiber – Getting additional fiber as we detox is vital to supporting the colon in its role of toxin elimination. In addition to lots of fresh vegetables, ground flax seeds and chia seeds are recommended. You should be eliminating at least 2 times per day. Castor oil packs – This can be a self-administered and inexpensive way to nurture and support the liver while you detox. . It is incredibly healing and relaxing. Castor oil is said to be able to penetrate deeply – as much as 4 inches – into the body. These packs can be used to stimulate and detox the liver and gall bladder. You will need 100% pure, cold-pressed castor oil, an old T-shirt, and a hot water bottle (or heating pad). Put on an old T-shirt, so you don’t get the oil on your nice clothing. Rub castor oil on your abdomen, being sure to cover the area where your liver is. Lie down on you back, and place the hot water bottle or heating pad on your abdomen, on top of your shirt, for one hour. Alternatively, you can rub the castor oil on your back, being sure to cover the area where your liver is. Then with your T-shirt on, lay on top of the heating pad or hot water bottle. This is a safe regimen to continue throughout the spring season, especially if you suffer from liver-based symptoms like eye problems, PMS, pre-menopausal symptoms and menopausal irritability, mood swings, bloating, tender breasts, hot flashes, anxiety, migraines, skin rashes and breakouts, angry outbursts, or tension between the shoulders. Many people report a remarkable sense of well-being and tranquility while applying the castor oil pack. Because the emotion of anger is closely tied to the liver, you may experience angry feelings resurfacing. Stay with your feelings and try to channel them constructively. You may try to transform this anger into forgiveness – first for yourself and then for others. This is a wonderful one that will calm and center you in any situation. It can also be used when you feel overwhelmed by a craving. Very often the craving will pass by the end of 10–20 breaths. To practice: Close your eyes, place your hands on your belly and just tune into the sensations around the inhale and the exhale. Gradually begin to deepen the breath, taking 10–20 slow deep conscious breaths deeply into and out of the belly. Do this meditation often. Now is a wonderful time to put attention on what you would like to bring into your life and one of the most powerful tools you can use is images. By creating images in your mind and connecting emotionally with these images, you begin to send the message to the universe that this is what you want. If creating images in your mind is difficult, cut pictures out of magazines or other media that represent your goals and dreams. This is a powerful tool, so really take the time to work on what you DO want. When visualizing, stay with your image and the feelings it evokes for a good 3-5 minutes. So simple yet immensely powerful, the gratitude meditation is highly recommended. It is especially important if you often find yourself spiraling down the hole of negative thinking and negative manifestations in your life. This can be done anytime, but it can be particularly good first thing in the morning or before going to bed. Sit quietly with your eyes closed and meditate on all that is good in your life. If you are having trouble finding something good, simply feel gratitude for the gift of breath and a healthy body. Your objects of gratitude can be as big or as small as you want. You may choose to write down these items after or before meditating on them. Do this for as long as you want. You can also do this while walking in nature. With walking meditation, the intention is on fully taking in the smells, the sights, the sounds and the sensations of your walking experience. Try to put your attention on only one thing or one sensory organ at a time. Take the time to drop in and just allow any thoughts outside your present experience to fall by the wayside. 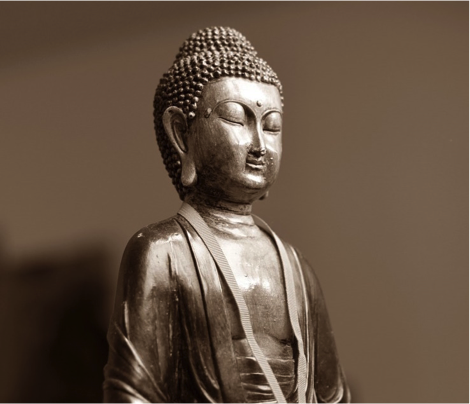 This can be a great meditation if you have trouble sitting still. Sounding Breath is done lying on the ground in the corpse pose, letting all your limbs relax. Exhale completely and then slowly draw in your breath through the nose. As you inhale, feel how your lungs and abdomen fill up. As you exhale, contract your throat to make a slight hissing sound and completely exhale and empty your lungs. Let your breath be long and slow. Sitting Breath is done while sitting, so it can be done at any point. Exhale with a deep sigh in order to reset your diaphragm. Then breathe slowly through your nose for a count of 7, and hold your breath for a count of 7. Then for another count of 7, exhale through your nose. Repeat this three times, and this will help calm your spirit and relax your nerves. Undoubtedly, the most important component to human health and vitality is oxygen. In fact, human life would not be possible without it. Oxygen produces ATP (adrenosine triphosphate) and without ATP, our bodies would immediately shut down. When a person breathes, there is an exchange of carbon dioxide and oxygen. The oxygen, which is taken in by the body from the atmosphere around us, is picked up by the hemoglobin in the blood and distributed to all of the body’s trillions of cells where it is then used to fuel the cells and release energy (ATP). In addition, the makeup of the human body is largely composed of the element oxygen, especially factoring in that water is composed of 33% oxygen. It’s clear then that optimal oxygenation of your cells through proper nutrition, fluid intake, exercise, and stress management is absolutely necessary in order to maintain your health and create a vital life. “Improper breathing is a common cause of ill health. If I had to limit my advice on healthier living to just one tip, it would be simply to learn how to breathe correctly. There is no single more powerful – or more simple – daily practice to further your health and well being than breathwork.” Andrew Weil, M.D. Detox foods to add to your diet. Adding organic fruits and vegetables limits you exposure to pesticides. Eating organic has been shown to have greater antioxidant value, provide significantly more Vitamin C, iron ,magnesium and less nitrates than conventionally grown foods. Vegetables and fruits such as are found in a Mediterranean diet are associated with a longer survival. Even a small increase in their consumption can make a difference. 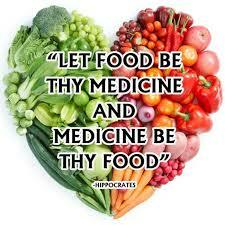 Antioxidants in the food and flavonoids help protect you against disease. These same flavonoids are found in red wine and black tea. The next big question .Do I need to detox? What is detox? Doesn’t our liver naturally detox and take care of everything.The answer is no. It is impossible to avoid toxins. 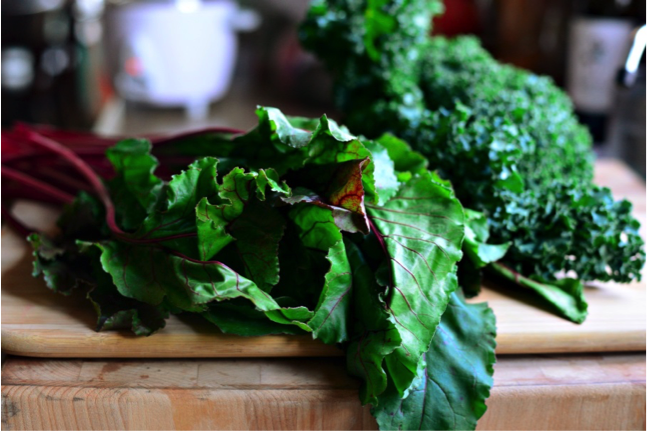 It is impossible to consume enough nutrients to help our body detoxify. Over time we accumulate toxins and they build up. This excess of toxins has been implicated in low energy levels chronic fatigue,obesity,memory,hormone imbalance. Now I am not recommending you go on a severe detoxification regime, or fast. Simple things like herbs and nutrients can be used to support your body’s own natural detoxification. Herbs such as Milk Thistle,astragalus,dandelion help break down waste and toxins and protect the liver. Reducing your intake of coffee and tea, alcohol and sweets, and red meat along with increasing your fresh fruit and vegetables helps minimise your toxin exposure.Exercising,saunas and dry brushing help with lymph circulation and the movement of toxins from the body. Drink plenty of clean alkaline water. How often do we need to detox? Everyone is different depending on their lifestyles and exposure. I recommend at least twice a year. Other people may require longer more frequent medically supervised detoxification programs along with targeted nutrients supplements and medical foods. Are there reactions to detoxification plans? Yes normally they are mild. Headaches may occur as you eliminate chemicals from your body. Skin breakouts due to eliminating chemicals through the skin.The skin is the largest organ of elimination. Increased bowel movements may also happen. Any one on any prescription drugs needs to discus detoxification regimes with their health practitioner as many drugs are metabolised by the liver and may be affected.Detoxing will leave you feeling more energetic, and with a sense of well being and vitality. A side effect may also be weight loss. Contact me for a free consultation where we will discuss your needs and specific programs for you. http://hotchixshotsex.com/wp-content/uploads/2015/10/IreneHogan_HotCHIXS_transparent-300x232.png 0 0 Irene Hogan http://hotchixshotsex.com/wp-content/uploads/2015/10/IreneHogan_HotCHIXS_transparent-300x232.png Irene Hogan2017-09-12 19:53:412017-10-19 17:49:07Living in a toxic world. A report from the Environmental Working Group(EWG) found an average of 200 industrial chemicals and pollutants in umbilical cord blood from babies. Those pollutants included pesticides, consumer product ingredients and wastes from burning coal, gasoline and garbage. These chemicals were all passed on the newborn by their mothers. Other similar studies have shown the same degree of toxins in adults. Our environment has become increasingly more polluted. New chemicals are introduced into our environment every day they have never been studied together. So no matter how careful we are we are all have some level of exposure. The liver carries the greatest burden of clearing all these foreign substances from our system Do we even need to question that we are all living in a toxic world? We absorb these chemical through our skin, inhale them from the air we breathe, and ingest them in our foods. They are present in the cleaning chemicals that we use, our cosmetics, and body lotions. Many of the chemicals for example like Bisphenol A an ingredient found in plastics and cans, and nail polishes. have been found to disrupt hormones ,having an estrogen like effect, they are referred to as xenoestrogens and have been linked to cancer. They also interfere with our immune function. Phthalates which are used to soften plastic can lead to kidney and liver damage. They too disrupt hormones in both men and women and are possibly carcinogenic. They have been linked to early puberty in girls as have other chemicals in our environment. Heart attacks have been linked to air pollution. So its not just road rage that’s bad for you but actually sitting in traffic may kill you! Exposure to tar and cigarette smoke and radiation in air has been linked to several diseases including cancer. So what can you do about all theses toxins that we are exposed to on a regular basis?